﻿ Apartments. Guest House Na Lednicke. 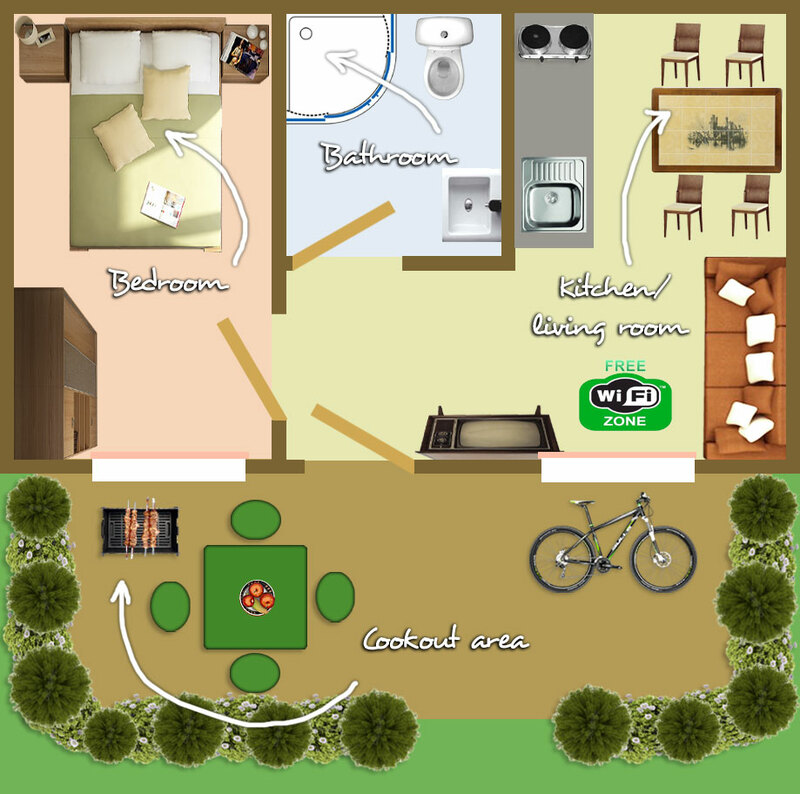 Accommodation in apartments. Hlohovec, Moravia, Czech Republic. 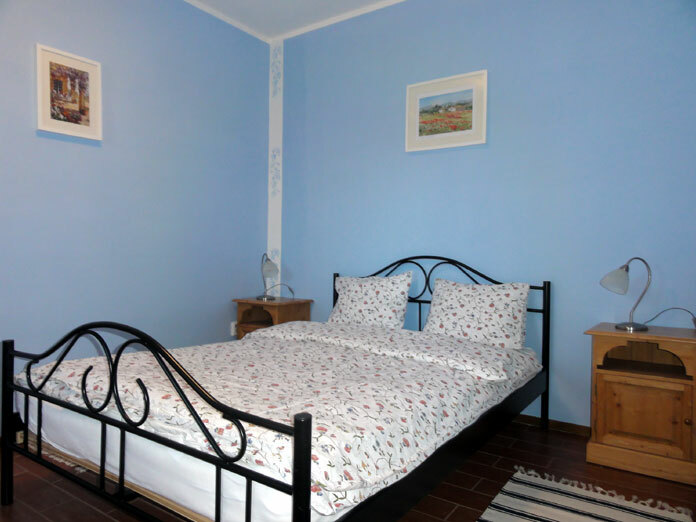 The guest house offers spacious two-room apartments that can accommodate between one and four people and have twin beds or one double bed in the bedroom and a large sofa-bed in the living room. 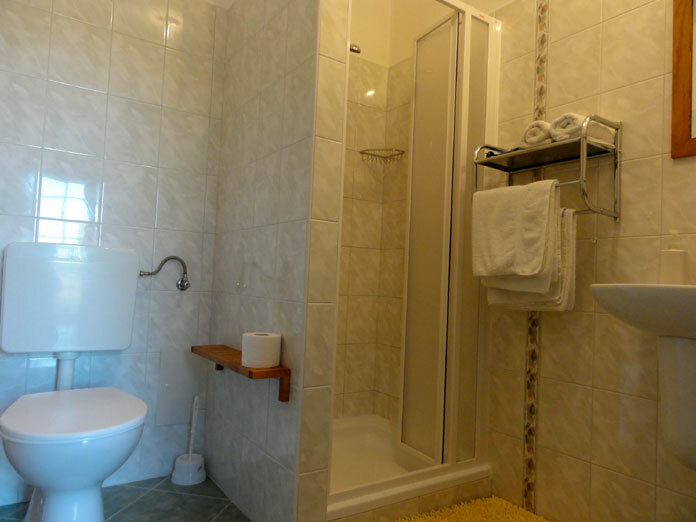 The apartments feature a kitchen and an en-suite bathroom with a modern shower cabin. 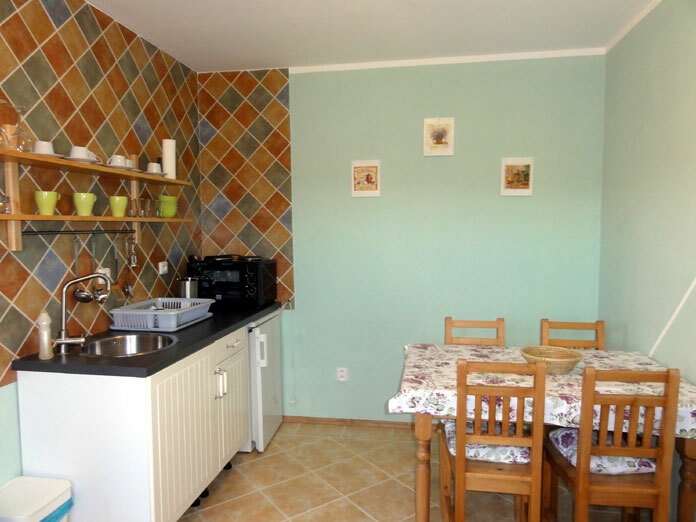 The kitchens are equipped with an electric stove, a microwave, a fridge and an electric kettle. Dishes and cooking utensils are provided. Each apartment has a private cookout area with a table, a barbecue and some space to park your bikes. The rooms look out onto the nearby fields and woods. The rooms are cleaned weekly. The bedlinen is changed on a weekly basis and clean towels are provided on request. The detached two-storeyed cottage stands within a private hedged area with a barbecue, a table and a bike park, and is separated from the other apartments. It would ideally suit a group of friends or a large family as it can accommodate up to six people. The downstairs features a bedroom with a double bed, a large fully-equipped kitchen and an en-suite bathroom with a bath, a basin and a toilet. The first floor can be reached via the outside stairs. The upstairs features another bedroom with a skylight, a double bed and a large sofa-bed. The first floor is completely autonomous with its en-suite bathroom with a shower, a basin and a toilet. The cottage is heated and supplied with hot water. It was fully renovated in 2013 and has free Wi-Fi access on both floors. The rooms are cleaned weekly. The bedlinen is changed on a weekly basis and clean towels are provided on request.